There aren’t too many artists who can make an album that features both vaudeville and bluegrass sounds and get away with it. 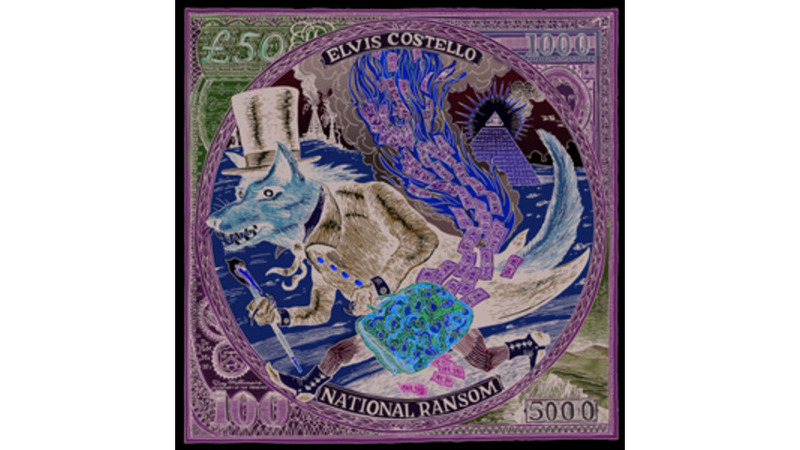 At this point in his career, Elvis Costello has dabbled in every genre under the sun, and on National Ransom, his second collaboration with T Bone Burnett in as many years, he gives us a little bit of everything. On paper, it should be a disaster, but Costello’s stellar songwriting saves the project and makes it worth delving into. The album’s disjointedness comes in part from its dense concept: Each song is assigned a specific time and place for a setting, ranging from “A Drawing Room in Pimlico, London, 1919” or “Somewhere in South America, 1951” to “On a Narrow Bed. Some Other Time.” The time-travel motif loosely ties the disparate songs that are strong enough to stand on their own. More than anything, National Ransom reveals that Costello is still a powerhouse writer. Whether he’s offering beautifully rich character portraits (the Tin Pan Alley-inspired “Jimmie Standing in the Rain”) or some of the clever wordplay fans have come to expect from him (lines like “bells and hands were only there for wringing” and “using his clause just like a practiced fingersmith”), it’s clear that after three decades he can still pen a hell of a tune. Nowhere is this more apparent than on “That’s Not the Part of Him You’re Leaving,” just the kind of cutting country song about heartbreak you’d imagine playing from the jukebox during last call at a lonely, dive bar. It’s no coincidence that the song with one of the vaguest settings (“On the Road Between Dismal and Discouraged. Right Now”) is also the record’s best. National Ransom may not be his most cohesive work, but it’s certainly another solid collection of compelling songs. At one point Costello sings, “Nobody wants to buy a counterfeited prairie lullaby in a coillery town,” and he’s right — it sure is a big leap from New Wave to bluegrass. But Elvis never sounds inauthentic. His album may suffer from multiple personality disorder, but when each new persona is such a pleasure, we’re in no hurry to call in the psychiatrist.